Magick being magically redefined to a new generation through the magic of Hollywood. 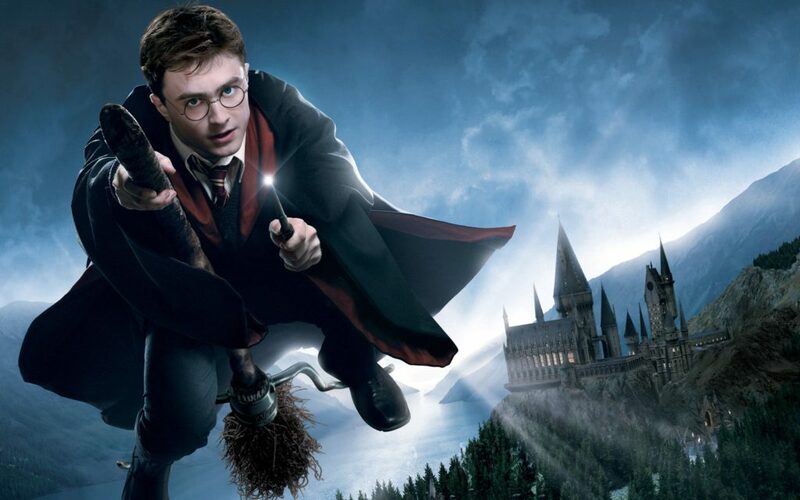 There is no doubt that Hollywood has managed to successfully conjure and affix into the collective consciousness the desired image of what they would have you believe magick and sorcery to be. In the place of real knowledge and ancient science, we have been given Bewitched, Harry Potter, The Witches of Eastwick, etc. Fiction and drama. Modern-day myths and wonderment. As far as I can tell this was phase 2 of the initial campaign that began with Disney in the early 1940’s. In fact, one can see that the TV shows and movies in the 60’s dealing with the occult were simply geared to the groomed audience of the beta test Disney generation. And like the McDonald’s business model, once you have the kids, you have the next generation as well. Of course, this was intentional and part of a broader agenda to work the masses into a state of ignorance, or what occultists call the dark path. When Magick really looks more like this. Today, magick and sorcery are viewed as fiction as most people are oblivious to the previous century of programming which formed their reality baseline. Even fewer are aware of the accumulated body of occulted science which is only taught in higher ivy league institutions and mystery schools today. Tangible and applicable sciences which are being to applied to finance, physics, and social construction. This Ceremony/Ritual was actually performed at ground zero. Rituals, ceremonies, and energy work take place every day. They are simply systems. conscious and directed organizations of energy meant to produce or elicit a specific effect or outcome. Rituals, spells, and ceremony are nothing more than the execution and implementation of science, a much more ancient and organic body of knowledge of the systems of physics, physiology, and chemistry. Advertising, marketing, and propaganda. These are the kinetic or active portions of this energy work. You might know them today as business or business science, and this too is taught in ivy league institutions. But the ceremonies are built on foundations. 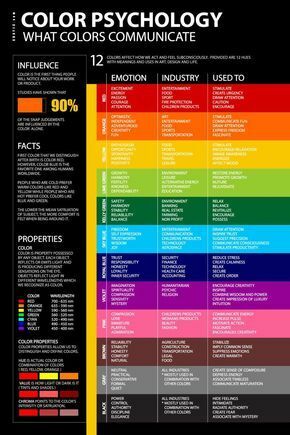 Foundations of space and time, incorporating number and symbology designed to resonate with the intended goal and realize any available ambient energy or source of emotion. All of this, ALL OF IT, is meant to achieve one goal. To control the greatest resource, the one resource, not subject solely to the laws of the physical universe but that which enjoys the potential of free will, free thought, and limitless potential. The fact is, is that all manifested tangible reality first begins as a thought in the mind of man. potential, free of weight, form or mass. Something truly supernatural. From here these thoughts project out and take shape and it is this machine we call the human body which allows these thoughts to be realized in this dimension. The human body is simply an interface, a tool the spirit uses to manifest change in our world. Using this human body these thoughts solidify into the material world, taking shape, where they are experienced and affect others. The ancient art and science of knowing how to affect this interface on a mass scale are known as occulted knowledge. This knowledge is neither good nor evil, as it simply makes up the fabric of our reality. However, the potential for abuse is not only obvious enough but intoxicating to many as it is a force multiplier. The consequence of this concentration of energy and potential, however, is a deficit of resource in other areas of the system, we know this as poverty, pain, and suffering. It is when organized intent realizes how to manipulate this science that we wind up with human atrocities and institutionalized slavery. Like our current economic model. Soon to be global, should the globalists have their way. At this point in my work, I hesitate to use the term “Illuminati” as this is simply “slave speak” and is the name which has been provided to us by our collective enemy as a generic address at which to park all the disinformation that has been disseminated since this last push of social engineering which launched circa 1900. To the average sleeper, everything you are about to learn has been explained away as simply a coincidence, or in some cases even fabricated. NONE of what you are about to read is fabricated however and is available for anyone to research for themselves. We are kept in an invisible prison where media forms the mental cell bars. I believe we have been given a brief reprieve as of late, however. We are in a technology shift represented and made possible by the internet. We experienced something similar when T.V. replaced the Radio. albeit not as dramatic, but the technology wasn’t available during that particular shift. The internet, however, has thrown all rules out the window and in its wake and subsequent chaos we have enjoyed a mass awakening. The election of Donald Trump is a result of this too I believe. People have begun to wake up and reject the two-party trap. The White and black hat paradigm. We have realized that something is very wrong indeed, and silicon valley had begun fighting back. Many researchers have taken advantage of this opportunity and have begun sifting through the rubble and realigning the evidence in an attempt to awake their fellow humans, and that is what this piece is about. Documentaries have been made about some of the information about to be covered here. Not all of this is new, however, many people will be seeing it for the first time. Still, I’m amazed how many people have still not researched for themselves the greatest tragedies to have ever befallen our country and have simply taken the word of the state-sanctioned media. Please read with an open mind AND QUESTION for yourself the occultic alignment of time, dates, ancient religion, symbolism, and numerology which is IMPOSSIBLE to have occurred at random and was most definitely orchestrated. Of which the intent and nature of this orchestration are self-described in the symbolism and energetic signatures contained within. Before diving into the numerology, allow me to state for the record that I am strictly de-occulting the official numbers as they have been laid out by those who carried out the ritual. I subscribe to no such fantasy that any plane ever hit The Pentagon or that any plane ever went down in Shanksville. When it comes to Mass Casualty False Flag Events the official numbers are as much a part of the staged ritual as the script and narrative, and rarely reflect actual baring. The Twin Towers physically looked like an 11. Flight 11 was the 1st plane to hit the towers. Flight 11 had a total number of 11 crew members. Each of the twin towers had 110 stories. Drop the zero as it is a placeholder and you have 11. (1+1+0= 2) for 2 towers. New York was the 11th state to be ratified by the United States of America. September 11th is the 254th (2+5+4=11) day of the year in 2001. On September 11th there are 111 days left in the year. 2001 marked 11 years before the end of the Mayan Calander. Or 11 years, 3 months, and 11 days OR 11311. 11 flanking and mirroring the extremely masonic number 3. 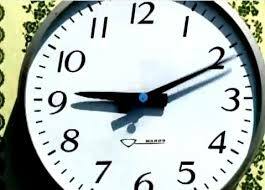 The 20 years preceding the end of the Mayan Calendar called “The Time of No-Time” by the Mayan (1992-2012). The 911 attack happened 9 years after 1992 and 11 years before 2012. Within the mystery schools and occultic sciences, the number 11 conveys DISORDER AND DISOBEDIENCE both symbolically and energetically. It symbolized disorder, chaos, and judgment. Coming after 10 (which represents law and responsibility), the number 11 represents the opposite – the irresponsibility of breaking the Law, which brings disorder and judgment. Genesis 11 is where we find where men rebelled against God and built the Tower of Bable. God then confused their language resulting in chaos. Jesus was 33 years old when he died. This is a multiple of 11 by 3. 3 is one of the most significant numbers in the mystery schools as its mathematical properties and symbolism is quite expansive. For non-occultists, this may seem like a stretch but it is not. Multiples are key elements when conducting energy work. Although 4 planes were hijacked on 911 only 3 hit buildings. 9 is also a multiple of 3. Many occultists and astrotheologists (including myself) recognize the 911 date as an integral ritual element referencing Jesus or the Son or the Sun. (Much more on this later in the article). 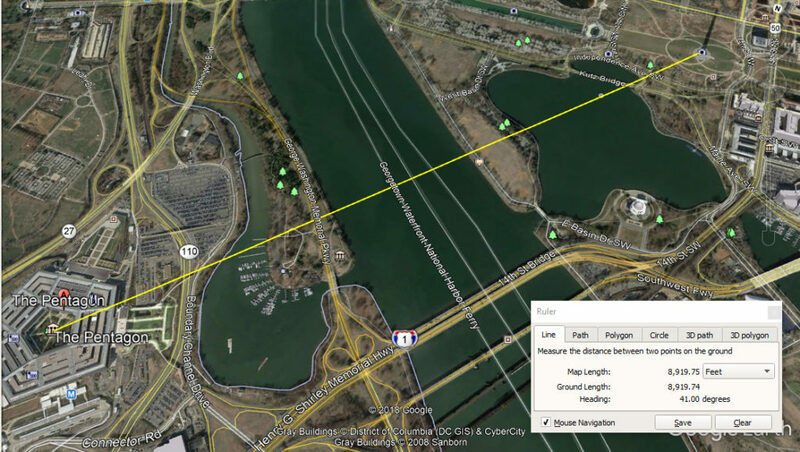 The Pentagon sits on the 77 meridian west. The (mysterious white plane) later identified as an EB4 flew over the Pentagon earlier that morning. The call sign for this plane was Venus 77. The Pentagon has 5 sides, is 5 stories high, and is 5 layers deep. In English Ordinal Gematria “The Pentagon” derives at the number 125 or 5x5x5. 125 people died in the attack at the Pentagon. or 5x5x5 people. 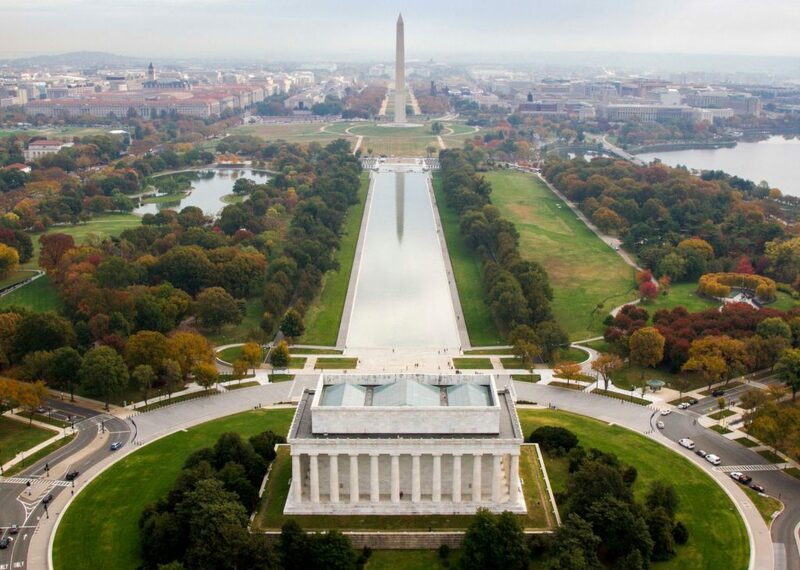 The Washington Monument is 555 feet tall and stands north-east of the Pentagon at a heading of 41 degrees. The words “In Christ” are found exactly 77 times in the KJV Bible, and all in the New Testament. The word “Christ” is found exactly 555 times in the KJV Bible, and all in the New Testament. There are 141 verses in the KJV Bible which relate directly to Jesus Christ. These verses are all verse 41 within the chapters they are found in. 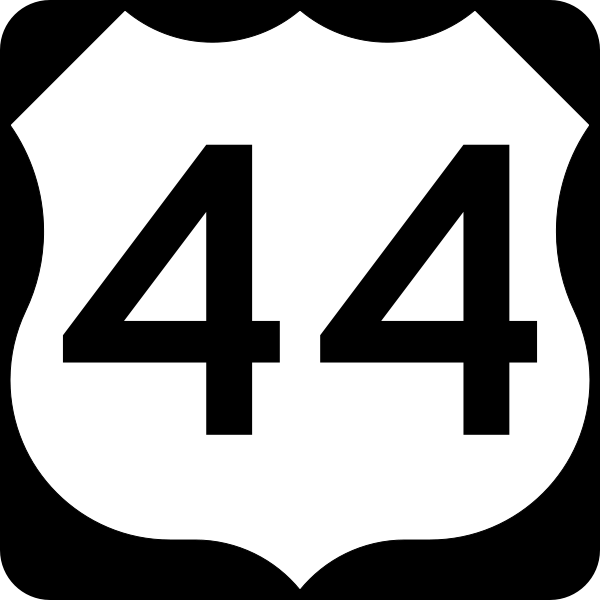 The #41 is also found 5 times in the Bible. The first 7 verses in the KJV Bible contain exactly 555 letters. The last 5 verses of the KJV Bible contain exactly 555 letters. There are 77 generations from Adam to Christ. “SEVEN” OR “s-EVE-n”. “E” is the 5th letter in the English alphabet. “V” is the Roman Numeral for 5. “EVE” = “555”. This is also the case for what is, in my opinion, the most accurate gematria cipher to be used with the English language, the Septenary Cypher. EVE = 555 within the same cipher and not having to borrow from different languages. The insight this cipher provides into occulted knowledge and ancient text is astounding, to say the least. It was discovered by Marty Leeds, who has since used it to decode and de-occult much-hidden knowledge. In the garden of Eden, Eve ate from the tree of knowledge of good and evil, which illuminated her. The words “Good and Evil” is found 7 times in the Bible. The number “77” only appears once in the Bible. Not only is this passage about a sacrifice, but the number of animals sacrificed differ according to kind. In the case of the 77, it is lambs. In Christianity, the lamb represents Christ as both suffering and triumphant; it is typically a sacrificial animal, and may also symbolize gentleness, innocence, and purity. Anyone remember the dancing Israelis? How about Silverstein’s $2 billion insurance policy he took out on the towers only months before the attack. 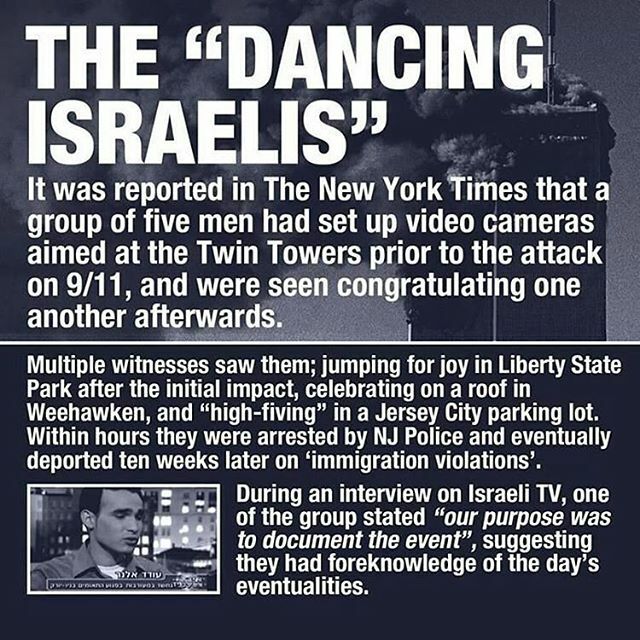 In the fallout of this attack, it has been clear to any and everyone not scared to be called an antisemite, that Israeli Zionists were very much involved in the 911 attack. Their fingerprints are not only in the forensic evidence, circumstance and motive, but in the Biblical numerology laid out within the framework of the entire ritual. The Biblical references and mocking of Christ are to overt to go unnoticed. This is a difference of exactly “60” years and a numerical sum of 13. The number 13 is universally recognized as the biblical number of defiance and rebellion, and along with the number 33 is also a calling card of the Freemasons. BTW, the architect for The Pentagon was Freemason George Bergstrom. Not to seem dismissive of the manifestation of 13 as it relates to The Pentagon but I do believe it is a secondary perk to the layout of the ritual and gladly welcomed as a signature of sorts for those responsible. The number 60, however, is significantly foundational and is the primary numerical energy being manifested here. It is a solar signature and primarily invokes masculine energy. In fact, there is no other meaning to this number in regards to energy or vibrational resonance that I can think of. Think violence, war, passion, forced will. Perhaps the HEADQUARTERS OF LARGEST MILITARY FORCE on Earth. Understanding base 60 (the number of Human/Sun or (Son) interface. 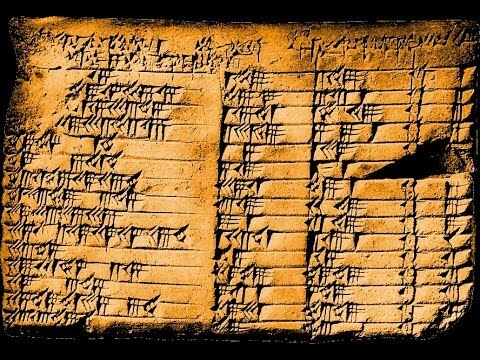 Unlike most other numeral systems, sexagesimal is not used in modern times as a means for general computations, or logic, but rather, it is used in measuring angles, geographic coordinates, and time. Three of the key and crucial parameters in spell construction. Are you beginning to get a feel for how this ancient science works? Base 60 has exactly 12 factors. 1,2,3,4,5,6,10,12,15,20,30,60. and is the basis for our method of recording time here on Earth. Immediately we notice the 12. 12 constellations; 12 apostles of Jesus Christ; The twelve “minor” prophets of the Old Testament: Hosea, Joel, Amos, Obadiah, Jonah, Micah, Nahum, Habakkuk, Zephaniah, Haggai, Zechariah, Malachi. The 12 works of Hercules. ; The 12 names of the sun in Sanskrit; and it goes on and on. Like many religions before it, Christianity embraces the number 12 to a very large degree. so much so that it is usually centered around Jesus himself. If you are a student of the occult you will know that Jesus the “Son” and that blazing ball of fire in the sky, the “Sun” are one in the same. Bringer of life travels through 12 constellations per year, 30 days per constellation, spends 3 days transitioning through it, where it dies and is reborn into a new sign. Jesus lived 30 years, spent 3 years in his ministry, when he died and was reborn. It’s really no coincidence they are pronounced the same either. There are also 72 years in one degree of rotational procession, just follow that biblical rabbit hole if you want your mind blown. Of course, the story of Moses Aaron and the ram’s horn in Exodus, signals the dawning of anew age, the next age in the zodiac actually which would be Pisces. And what was Jesus’s sign, I’ll give you a hint you still see it on the back of cars all over. The fish. Of course, Aquarius, next on stage, is foreshadowed in the New Testament as well with the pouring out of the water. Not only is this an obvious allegory, all the numbers involved are factors of 60. The entire story is predicated on the Base-60 system. This is because this system was invented by the ancient Sumerians, and of course, their literature, cosmogony, and rituals influenced the region to such an extent that we can still see echoes of Sumer in the Judeo-Christian-Islamic tradition today. This quite simply is called Astrotheology and is the basis of almost every western religion. And henceforth, the ancient mystery schools upon which these religions are predicated. The first known use of base 60 was in Sumer, after that, the Babylonians used it to a great extent. Where they actually had a better system of math as they utilized a true place-value system. This coupled with the base 60 system and all of its factors allowed them to make great advances in fractions, geometry, algebra, and higher mathematics. Of course, they invented many technologies including metalworking, copper-working, glassmaking, lamp making, textile weaving, and flood control that we still use today. Of course, today we still very much immersed in Babylonian culture and custom. Such as the days of the week. We see this as the dawn of civilization and since then we have been solar based. At least in the western world. 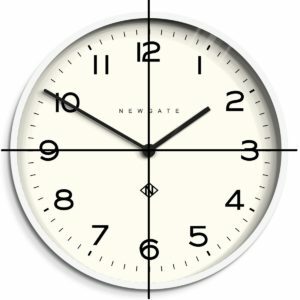 Time, the 4th dimension is measured and affixed to this numerical system. Its frequency resonates with us and we all live and oscillate with it. We work 5 days on 2 off. We recognize a 7 day week in which our creator created the universe. Holidays are affixed to ancient Christian adopted pagan holidays which once celebrated the solstices and equinoxes. The money we spend on holidays or feed into the economic machine observing these solar markers. Our bio-rhythms are set up and run by this base-60 system, our meals, sleep, prescribed and allotted time for work, relaxation, business, everything. It truly affects the physical nature of our reality and we function within its parameters. Know that 93 is a base pattern of time construction. Once again, in the aftermath of the 911 attacks, most everyone failed to notice the narrative reality as it was being woven before our very eyes. Shock and fear paralyzed the entire nation and it wouldn’t be until the dust settled that critical thinking began to once again take hold. However, by that time, it had already been co-opted and funneled into the Zionist agenda to pass the “Patriot Act” which dissolved more rights and freedoms of Americans than at any time before in American history. That same energy took us into Iraq as well. So what else did we miss? Flight 93. For occultists, this number stood out like a sore thumb as it is not only a base pattern of time construction but the numerical sum for the gematria of the word Thelema. Alister Crowley’s system of magick or religion. He chose this name for good reason too. 93 is a very strange and powerful number and we find in interwoven into the fabric of our daily lives more than you may think. For starters, TIME. Remember that there are 12 major constlations in the night sky and that we operate on a base-60 timescale. Now. Baseball (A Masonic game invented by a Freemason and member of the Theosophical society) has 9 innings and 3 outs. Pregnancy – 9 months of the year pregnant 3 not. Whether or not anyone realizes it, these numbers affect them to a great degree. They are built into our internal timeclocks and we operate according to their energies and patterns not only daily but yearly and throughout portions of our life. 93 is an energy defining number and has everything to do with the movement and actions of humans in our world. Flight 93 had 33 passengers (Most sacred wisdom) and 7 crew members (Spiritual Perfection) and 4 hijackers (material universe). OR. The material world tearing down sacred wisdom which is being directed by spiritual perfection. This is ritual. This is the execution of real Magick, albeit dark magick. Now think back to the events which allegedly transpired on Flight 93. This was all about people. COURAGE, BRAVERY, SACRIFICE, etc. Of course, there is a documentary about it. One which expertly evokes the emotions and patriotism needed to fuel the war machine. The alleged phone calls which have been proven could never have taken place. The timing of the phone calls, and on and on. This narrative has been deconstructed for the pack of lies it is, but the magic has been woven and there is now a movie, annual memorial, location memorial, website dedication, and annual rituals which keep this fiction firmly cemented into place and reopen the wound in order to harness and direct human emotional energy. 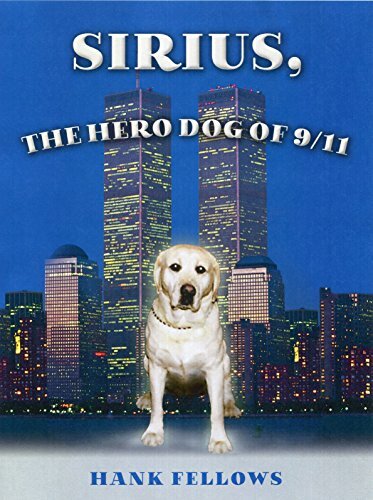 Most people are unaware that a K9 dog was killed in the rescue efforts after the 911 attack. A bomb-sniffing k9 unit by the name of Sirius. Hummmm……It is worth noting that only one dog died in the 911 attack and there can only one brightest star in the night sky. This happens to be the Dog Star or Sirius. Was this Sirius a sacrifice? If not, this is one hell of a coincidence, and I mean a coincidence beyond coincidence. What are the chances of what follows? Now for those of you who are unaware, Christianity, as well as Zoroastrianism, Horus, Mithras, and a dozen earlier sun worshiping religions were simply built upon the same astrotheology hardwired and fixed into the night sky. 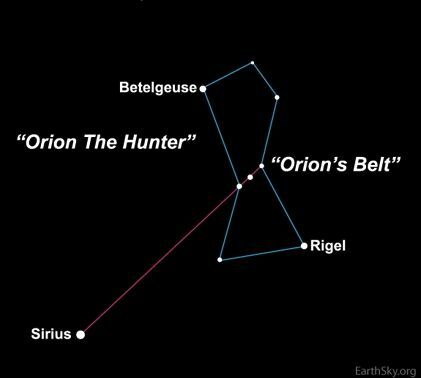 The story of the birth of Jesus and the 3 wise men are told in the constellation of Orion (three belt stars) and the Dog Star Sirius, which they point straight towards. In the winter months, their movement correlates to that of the story of Jesus’s birth as the Orion constellation moves towards Sirius. My intention is not to offend or alienate readers by any means, but the if one goes back and learns the stories of previous “savior” they all bare the same story. Of course, the Christian take on this is that Satan knew that Christ was coming and set up these traps ahead of time to test the faith of man. That being said. the bible does state. Psalm 19:1 The heavens declare the glory of God. and the firmament sheweth his handiwork. If one has faith as a Christain this does not matter as it is simply a validation of God’s word, and I can respect that. However. Psalm 19:1 OR 191 which is a redistribution of 911. Is this simply a coincidence too? We also see (mirroring) here again. We saw this above with the numerological markers regarding the Twin Towers section in regards to the Mayan calendar. This is a common technique and used often in occultic ritual. It is used as a balancing measure and reflects “As above, so below” “Yin and Yang” Positive and Negative” etc etc. 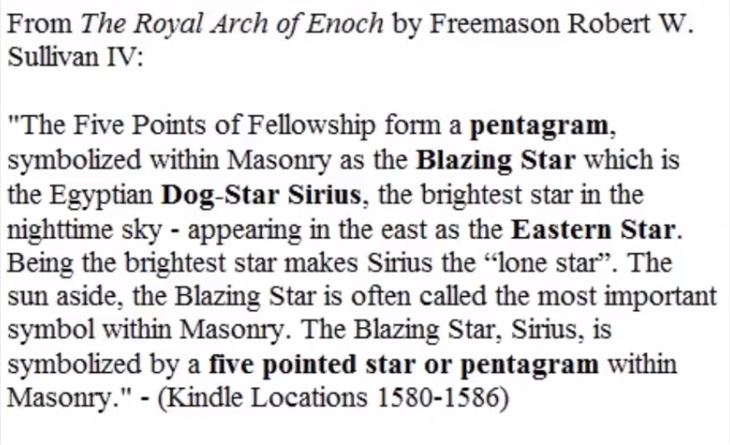 I understand that many people will think this last part about the dog Sirius is made up because many never heard of it. So here to you. It is real and it happened. And BTW, what a great heart string to lay among the multitude of others. Who doesn’t become emotional when they hear about a dog dying? This obviously lays the foundation for a hero story or hero mythos with which we can all cling to and ride together. Aside from the ritual which took place, THIS IS SIMPLY PROPAGANDA. A unifying storyline which binds us all together. The intention of this article is not to blame the Jews for the 911 attack. Anyone with a shred of common sense knows that would be ridiculous and an oversimplification of events. Nor do I hold that the United States government is responsible for these attacks. 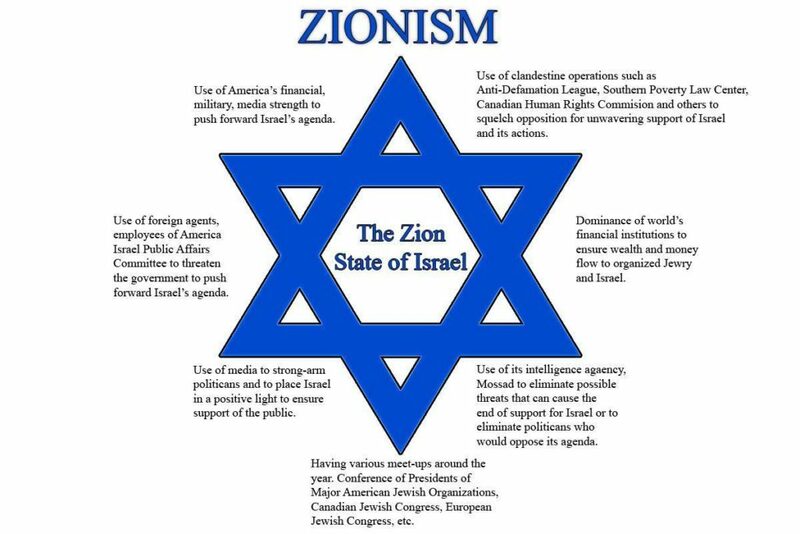 Zionism however, is not Judaism, and it is no secret at this point that Zionists had very much everything to do with the 911 attack. I also hold that there are factions within our government who are most definitely responsible for what transpired. It is obvious from anyone educated in the occult and mystery schools that what transpired September 11th, 2001 was not only the greatest crime ever committed but the most elaborate ritual ever executed. A RITUAL WHICH IS STILL IN PLAY MIND YOU. Ancillary spells and manipulations of our reality have spawned off of the initial energy manifested and collected in the wake of this monstrous event and still resonate today. If you are a die-hard Israeli defending evangelical Christian who has had pounded into your belief system that it is the Christian duty to protect and honor Jews and their interests, I urge you to step outside of your indoctrination and examine the facts unbiasedly. I’m going to leave the reader with this. Psalms 9:11 – Sing praises to the Lord, which dwelleth in Zion: declare among the people his doings. The video of the Eye Of Horus Ritual at ground zero made sense. In the British occultist Aleister Crowley’s The Book Of The Law, a book about The Aeon Of Horus, the 9/11 event is described as the “Twin Warriors Of The Earth” which are to be destroyed by a flaming bird. It was written in 1904. Whether this is merely a prediction or something used as a playbook is up to your discretion. The entity Crowley claims dictated this book also identifies itself by the numbers 9 and 11 and urges that the receiver to look into why. Also, on YouTube there is a video of money of increasing value when folded in a certain way clearly illustrates the Twin Towers being destroyed and collapsing into rubble and smoke. It’s very detailed down to which building actually fell first and through the Arch in NYC. The instructions how to do this is also in the very last chapter in The Book Of The Law. In my early twenties I was a studying Cabalist learning Hebrew Gematria. Almost every major event in the US news ended up in my journal of permutations. One in particular, The Columbine Tragedy stuck out to me because numerological results for that event yielded GOG and MAGOG and the twin pillars of BOAZ and JOACHIN. Until after 9/11 it puzzled me. When the event occurred my one psychological defense of making sense of it all was to go back and study my journals. The Twin Towers to me were very similar to the BOAZ and JOACHIN result I arrived at with my Columbine examination. I went online and by that time the journals of Eric Harris and Dylan Klebold were available in PDFs with redactions galore. I discovered that the boys had a plan that if they escaped the school after the shooting they would commandeer a commercial plane and crash into the WTC. This seems like a stretch for them to accomplish but it’s bizarre when considering that Dylan Klebold, one of the shooters was born on September 11th. A very bizarre coincidence. I’d like to also point out that the other results I arrived at for The Columbine Massacre, GOG and MAGOG which were Babylonian kings, were also the Skull and Bones given nicknames for George Bush Sr.(GOG) and George W. Bush(MAGOG) George W. was president on 9/11 and George Sr. was in a meeting with several members of the Bin Laden family the morning of the event. After all planes were grounded that day, the only plane allowed to leave the country was the plane boarded by those same members of the Bin Laden family. Another bizarre coincidence. 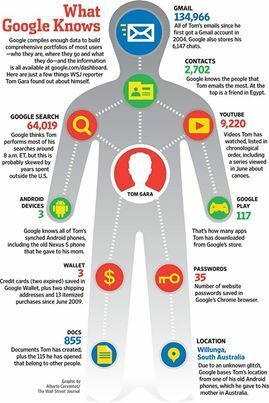 All of these facts are easily available on the web. I’m no prophet or psychic, I just enjoy my hobby of enumerating absolutely everything. Sometimes it freaks me out enough to put in down awhile. You have a great site here, keep up the good work. Thank you for tolerating the babble.